We begin with a simple aromatic barley broth. 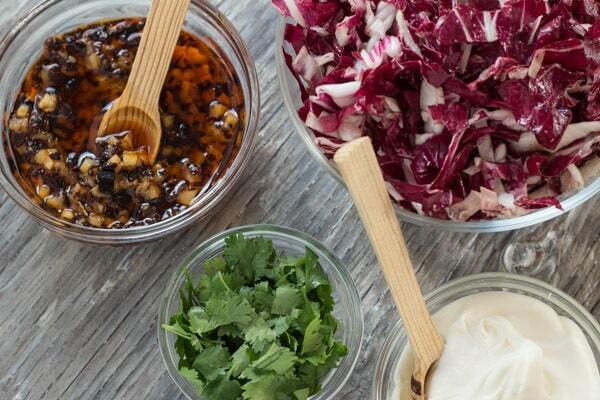 On top go ruby radicchio ribbons and a magic relish–of salty preserved lemon, dried ancho chile and garlic. Next, dollop tangy cream, and a final sprinkle of chopped cilantro. 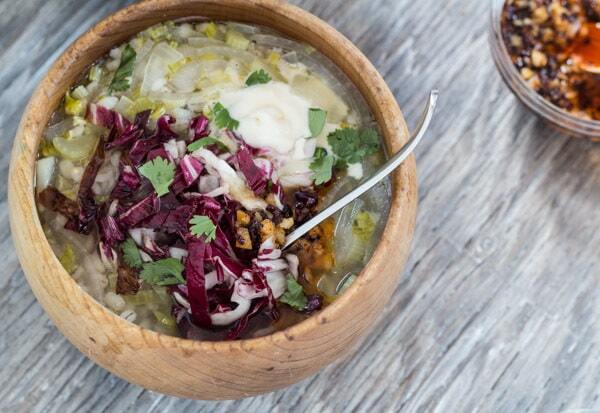 Stirred in, all those goodies turn the previously unassuming broth into elegant slurpable soup–Chicory Soup with Barley and Lemon. This soup is adapted from a recipe in Heidi Swanson’s cookbook, Near & Far: Recipes Inspired by Home and Travel. 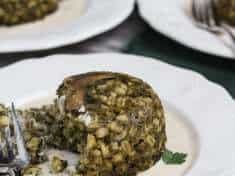 The preserved lemon and chile relish in the Chicory Soup drew me to this particular recipe–I happened to have a jar of preserved-in-salt lemons waiting in the corner of my fridge. Heidi calls for the Moroccan lemons in her Grated Cucumber Salad, and for her Dried Fruit Salad—so if you purchase your preserved lemons you’ll find more ways to feature their distinctive flavor. 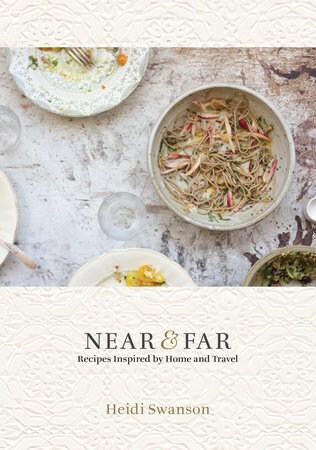 I’d like to cook my way through every recipe in this cookbook, traveling each chapter, exploring pantry essentials, following Heidi from her San Francisco home, and on to Morocco, Japan, Italy, France, and India. Maybe I will… Right now I’m content to read her chapter introductions and recipe headnotes–Heidi’s enchanting prose alone makes me hungry. 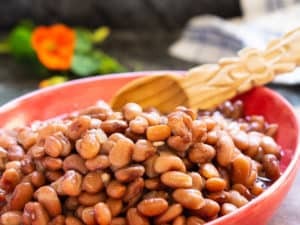 Most of the recipe ingredients are familiar and easy to find. You might have to mail order a few specialty ingredients, particularly a couple for the Japan Pantry, unless you live in a big city. 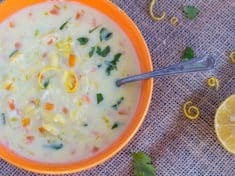 As with this chicory soup, some of the recipes include dairy or eggs. Loyally, I follow Heidi’s vegetarian blog, 101 Cookbooks, where she’s been giving us glimpses of this cookbook for more than a year. When the chance to review her new cookbook came, I jumped. I received my copy from Blogging for Books–the thoughts and opinions expressed here are my own. I’ve already whipped up, shot photos, and devoured the Red Lentil Hummus in the “Near” (San Francisco) chapter. Are you ready for a garlicky smooth hummus recipe? Stay tuned—it’s the next one up–you’ll find it here on Letty’s Kitchen blog. I used crisp and slightly bitter radicchio chicory in my chicory soup. According to Elizabeth Schneider’s Essential Reference, Vegetables from Amaranth to Zucchini, radicchio (rah-DEEK-eeyo) is the “Italian word for all members of the chicory clan.” Year-round, in well-stocked supermarkets, you should be able to find the round compact “Chianti-colored” Chiogga radicchio. The preserved lemon relish calls for just one ancho chile. 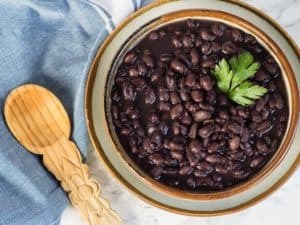 A bag of ancho chiles is inexpensive–keep the extra chiles in your pantry, ready to make authentic red enchilada sauce, and for flavoring simmering soups, pot beans, and homemade vegetable broth. Before drying, anchos are poblanos, the chiles often used for chiles rellenos. 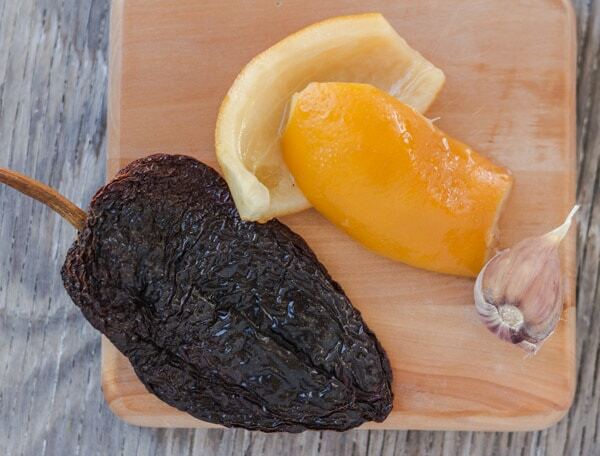 Dried ancho chiles are mild, with wrinkle-y skin and raisin-y fruity flavor. Make it a fabulous week–get in the kitchen and cook yourself a delicious soup! 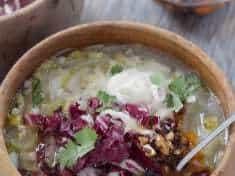 Salty preserved lemon relish with chile and garlic, along with the pretty purple-red ribbons of radicchio chicory, plus tangy crème fraîche and chopped cilantro, bring unique flavor, texture and color—you’ll absolutely adore this fun soup. Rinse the barley. Bring the 4 cups of water to a boil, add the barley, and simmer 30 to 35 minutes, until the barley is tender. Drain, reserving the water to use as part of the chicory soup water. While the barley cooks, start the soup. In a large pot over medium flame, heat the first 3 tablespoons of oil and sauté the onion, celery, and salt. Stir frequently for 5 to 10 minutes, until the onions and celery are soft but not browned. Add the bay leaf, thyme and 7 cups of water, including the leftover barley cooking water. Let simmer for about 20 minutes, until the vegetables are very tender. Stir in the cooked barley. Continue to cook an additional 10 to 20 minutes, until the starchy barley has slightly thickened the broth. Remove and discard the bay leaf and the fresh thyme sprigs. Taste for season, adding more salt if necessary. While the soup is simmering, make the lemon-chile relish. Start by softening the chile in a dry cast iron skillet. When the chile is warm, using scissors, cut off the stem and cut the chile in half. Remove and discard the seeds and any large veins. Chop the chile into very small pieces, almost crumbles. In a small skillet heat the remaining 4 tablespoons of oil, the chile bits, and garlic. Toast the chile but don’t let the garlic burn. After about 5 minutes, the chile should be somewhat softened and its flavor will have infused the oil. Remove from the heat and smash the garlic with the back of a fork. Stir in the preserved lemon. To serve, toss the radicchio ribbons with a splash of olive oil and a sprinkling of salt. 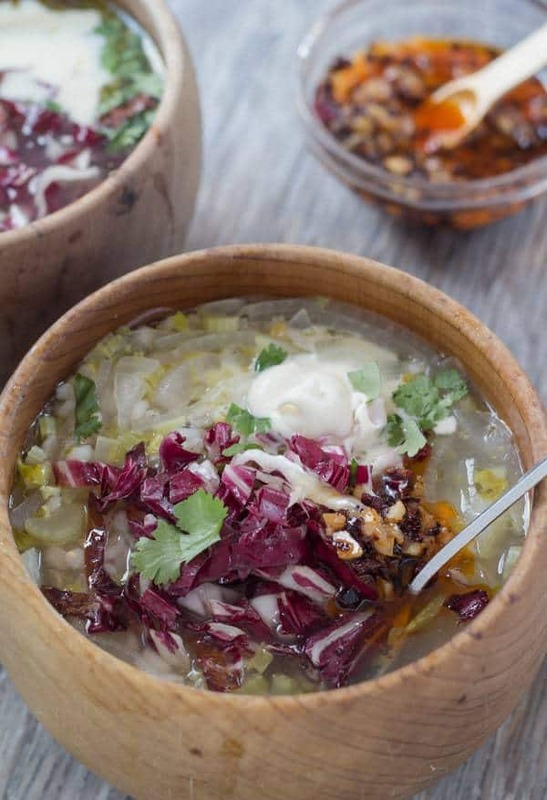 Ladle the soup into bowls and top with the dressed radicchio, dabs of lemon chile relish and crème fraîche, plus a sprinkling of chopped cilantro. 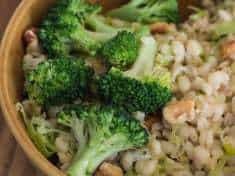 Reserve the extra barley cooking water to use as part of the total water.